Fishing is not rocket science. It is my contention that many people make it more difficult than it really is. That being said, there is a lot of room for error. By error, consider the wide range of mental and physical mistakes that are possible in the world of fishing. For some, the errors may be with inferior equipment. Others it may be with a game plan that makes success unachievable. 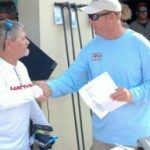 With the countless number of possible mistakes to be made, there are some of the most prevalent ones listed below and some overall philosophy that can help to make you more successful and efficient in your fishing trips. Don’t worry about not being perfect. But after you read this, you should identify some ways to become better. Four cheap rods last 1/5 the length of one well-built graphite rod and they have no feel for the lures. Make them a “live bait” rod (or topwater lures) and spend the money on something good for throwing the lighter lures. The fishing rod: Your most important investment, without question. Quality rods makes everything better. The dunk: Fishing from a seated position (kayak or canoe) there are ways to handle the rod tip loops and other problems without putting your reel down into the water. Don’t dunk your reels, they will last a lot longer. I moved here with freshwater equipment. I took care of it and it lasted in saltwater conditions for years. Steel leaders? Useless. Light wire for kingfish or sharks is useful for those specific targeting situations but a steel leader is not something that you should invest in. Use fluorocarbon leaders for the best abrasion resistance and invisibility. Error: Cheap fluorocarbon. Buy a good one like Seaguar or comparable. Attaching a plastic tail. Do it right. I spend time with my clients showing them how to do it right. After that, every lure rigged is practice for them. There are many error made in rigging plastic tails. Upside down is one. Not being straight is another. One of the biggest errors made is to force the lure onto the collar of the jighead. That trauma teas the plastic where it meets the collar and fish are able to pull the tail down the jighead hook. If the entire process is done slowly and controlled, the lure will be straight and fish will not have the ability to pull the tail off the collar. Use gentle pressure to get the plastic to form around the collar of the jighead. If you do this you can actually back off that tail and reuse it if you want to “change colors”. Do you replace line that is extremely worn? It isn’t that expensive. When it is time, make the change. Do you have enough line on a spool? Insufficient line will translate to shorter casts. One deficiency that many people need to address: Tying knots. If you do not tie a good knot you are going to find out on the first quality fish that you hook up to. Don’t lose that fish. Pick a knot, learn it well and make sure you don’t miss out on success because you don’t tie a quality knot. People who do not learn the tides and lunar implications. Know your conditions. Know what’s best. Know what are not ideal conditions and where to go when things aren’t great. Slow tide? Where will the water movement be maximum? The choices made at these times are the difference between having a pretty good outing and catching nothing. They do not work a lure in a realistic fashion. Advanced technique. 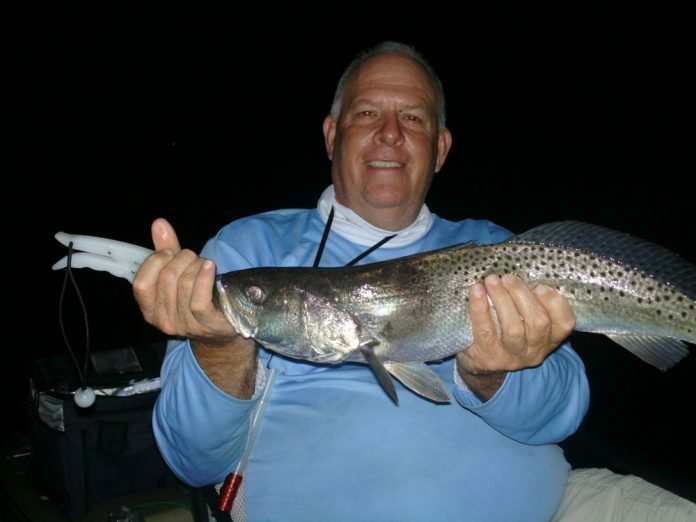 The people who learn the technique of using the rod tip to move a lure will connect best on the toughest species. Advanced technique: “Getting control of your lure.” I have control of my lure from the time I cast it until the time I land a fish. This is about clicking the bail over at the appropriate time so you have a tight line from the time your lure hits the water. Bad casts. Casting technique is the very first thing I evaluate with my clients. It is amazing how many people need that help. Make the longest, most accurate casts and you will catch more fish than the other guy. Simple logic: The longer your cast, the more fish see your lure. The more fish see your lure the more strikes you get. The more strikes you get, the more fish you will hook. You have a choice where you land a cast. An error: Landing a cast in an area you just went through. Anything that was there is gone. I call it “fresh water.” Make casts to areas where there has been no activity. Species errors. 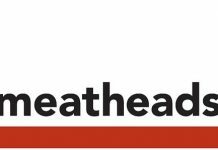 The most common mistake made by people targeting redfish? They’re fishing in trout waters, too deep to expect to have them there. Redfish, almost anywhere you look for them in the country, are going to be in water that is less than two feet deep. Closing the bail by cranking the handle. Combined with light lures and braided lines, this will lead to trouble. With a spinning reel you have a free hand doing nothing. Use that hand to manually shut the bail. Are you in No Man’s Land ? There are vast areas of water around here that flat out have no fish in them. They might occasionally cross those waters to get to a feeding point but these areas I speak of are not prime habitat for the fish. You hit an area over and over, pay attention to where you find fish and on what tides and you will not only master that one area but you’ll learn things that have applications to future trips. 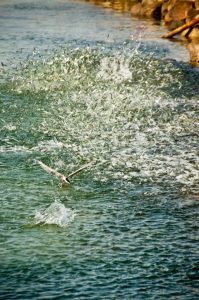 The fish have tendencies to inhabit specific areas. If you have attended seminars I’ve done, you’d have heard that redfish are usually in areas of shallow water-two feet or less and creek mouths with oyster bars are a great place to start. 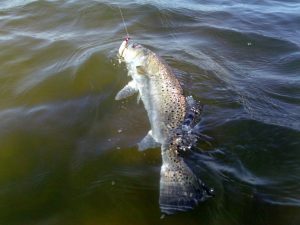 If you want to hit the trout (which is a good starting point to get some confidence) bend down your barbs on your lures and hit waters with grassy bottom, patches of sand, mid to strong moving currents and about 4 to 10 feet deep. Snook are ambush artists. The move a lot, but if you’re fishing open waters with no structure, I give you about a 5% change of catching a snook. The 100% of water out there: Your quarry is only in 5% of that water. Landing a fish. The goal, secure the fish as fast as possible. Personally, no landing net. I don’t even own one. You can learn to control the fish when you have a hold of the leader, lay your rod down and then get your second hand under the fish to lift it in the boat. A regular error: People “leader lift” a large fish. One in three will do a head-shake and the knot will break. Error. A fish lost that didn’t have to be. If you think you’ve gotten into the right waters but you’re not hooking up, maybe there’s a technique issue. Do you evaluate how you move the lure through the water? Do you think it’s realistic and will draw a strike? Speed is important. In general, something to consider with moving lures: “slow it down”. I still say, if you’re not working your lure within 6 inches of the bottom, you’re missing a lot of hookups. Many of these fish simply won’t go “up” to grab a lure high in the water column. When do you go? You fish Saturdays and Sundays mostly. Are you getting into areas that are quiet or are there motors coming in and out all the time. If there’s heavy motor traffic, you can bet you’ll hook up a lot less frequently than if you find more remote areas to try. 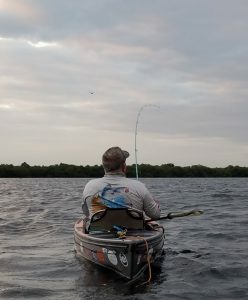 The beauty of kayak fishing is that even on the heaviest traffic days, you can still get to areas where you will not have the excessive noise. Weed on your lures? Slam it on the water to get it off? Goodbye fish. Eliminate unnecessary noises. Keep the fish in their feeding mode. The most unnecessary noises often have to do with anchors. Boat, kayak, it does not matter. Figure out how to get your anchor deployed without making noises that scare the fish. Like to sleep in? For fully seven months of the year, if you arrive after 8AM you have missed most of the best opportunity. Set the alarm. Get the results, take a nap in the afternoon. Those with power boats. It is an error to run your motor all the way into where the fish are. Shut it down ahead of time, drift in or use your pushpole or trolling motor. Efficiency is enhanced by what you do the night before. Did you check all your rods and reels? Do they have the leader line on them? The correct lures tied on? Are the reels functioning properly? Time spent tying in the morning is wasted time when the fish may be feeding best. How fast do you give up when you’re out there? My Dad taught me that you put your time in and sometimes that’s the difference. We had days when I was a kid that there was no kind of bite going on, then no faster did everyone else leave that we were all hooked up with fish. I would guess that those feeding times possibly corresponded with the solunars. Put your time in. Do you intrude on others? There is a lot of area to go. Someone is on your favorite spot: Go somewhere else. Do you like it when someone does it to you? I didn’t think so. Don’t be one of those people that does it to someone else. Are your sunglasses polarized? A huge advantage, glare reduction, and to see things that are down in the water, if you don’t have polarized glasses this should be your next purchase. Did you forget things at home? The right checklist. There are things you can survive with if you forgot them. There are things that can ruin a trip. Not everyone leaves everything in their car like I do. Make sure in your system you get everything in the car that you are going to need. Frustration: Most of us have done it. Shutting a door on a rod tip. Bam: You are out one fishing rod. Take extra care and do not lay a fishing rod where if you forget about it, you are going to close a door on it. Will you forget things at the launch site / boat ramp? This one is an error that can be costly. My rule: There are two locations for your equipment. In your car. In your boat. If you lay things on the ground or lean them against things, the smallest distraction can mean lost gear. The big picture: The fewer errors you make, the more successful you are going to be. It is like anything else, the more you do it, the better you should get at it. Evaluate yourself. Do things right and have better results. Gear up right. Set a good fishing plan. Enjoy your results! 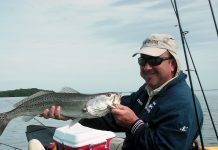 Neil is an outdoor writer, speaker, radio show host and the owner of one of the largest fishing web sites in the world. 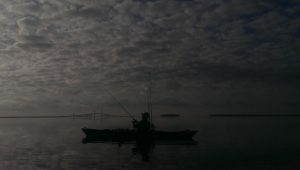 Neil offers instructional kayak trips around Tampa Bay.